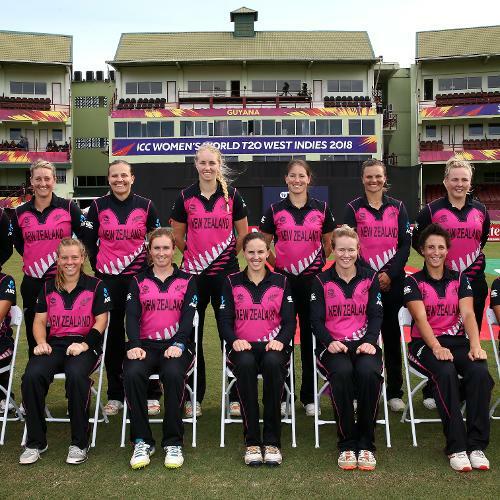 New Zealand pose for a group photo during the ICC Women's World T20 2018 match between New Zealand and Ireland at Guyana National Stadium on November 17, 2018 in Providence, Guyana. 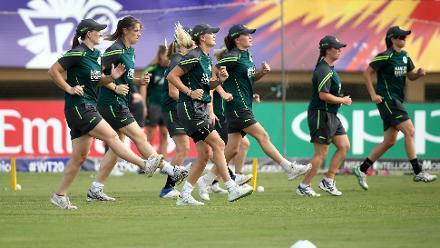 Ireland players warm up during the ICC Women's World T20 2018 match between New Zealand and Ireland at Guyana National Stadium on November 17, 2018 in Providence, Guyana. 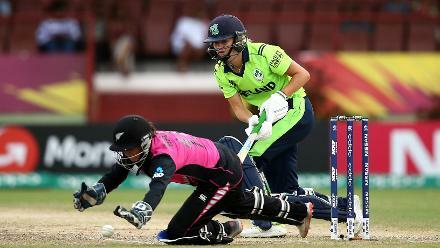 Gaby Lewis of Ireland bats with Katey Martin of New Zealand behind the stumps during the ICC Women's World T20 2018 match between New Zealand and Ireland at Guyana National Stadium on November 17, 2018 in Providence, Guyana. Leigh Kasperek of New Zealand appeals for a wicket during the ICC Women's World T20 2018 match between New Zealand and Ireland at Guyana National Stadium on November 17, 2018 in Providence, Guyana. New Zealand players warm up during the ICC Women's World T20 2018 match between New Zealand and Ireland at Guyana National Stadium on November 17, 2018 in Providence, Guyana. 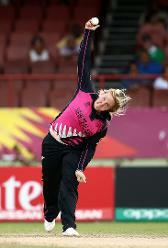 Jess Watkin of New Zealand bowls during the ICC Women's World T20 2018 match between New Zealand and Ireland at Guyana National Stadium on November 17, 2018 in Providence, Guyana. 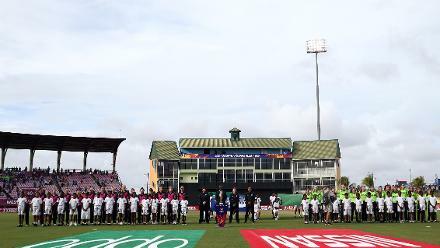 Teams line up for the national anthems during the ICC Women's World T20 2018 match between New Zealand and Ireland at Guyana National Stadium on November 17, 2018 in Providence, Guyana. 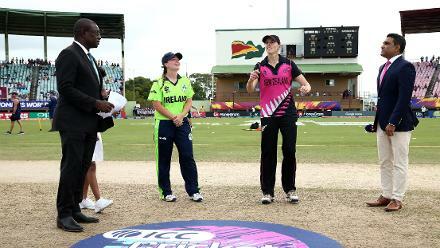 Amy Satterthwaite of New Zealand tosses the coin with Laura Delany of Ireland looking on during the ICC Women's World T20 2018 match between New Zealand and Ireland at Guyana National Stadium on November 17, 2018 in Providence, Guyana. 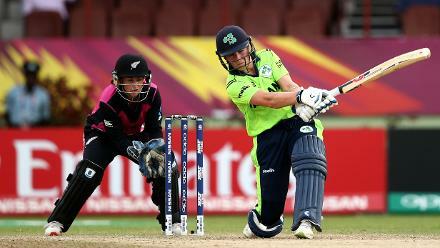 Clare Shillington of Ireland bats with Katey Martin of New Zealand looking on during the ICC Women's World T20 2018 match between New Zealand and Ireland at Guyana National Stadium on November 17, 2018 in Providence, Guyana. 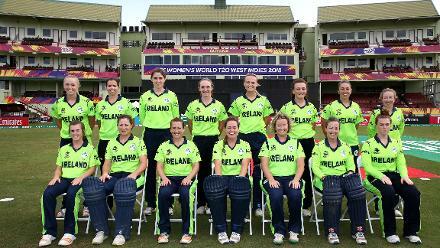 Ireland pose for a group photo during the ICC Women's World T20 2018 match between New Zealand and Ireland at Guyana National Stadium on November 17, 2018 in Providence, Guyana.